For many years, the Fox Chapel Area School District has been recognized for its academic excellence, but many people might not know that it also has been cited as one of the best in Pennsylvania for athletics. There are many factors that go into that ranking, but one big reason is due to the quality of the coaches. Many coaches have personal experience as accomplished athletes, and because they have been teachers in the classroom, are very skilled in communicating with young people and getting them to work toward a common goal for the greater good. 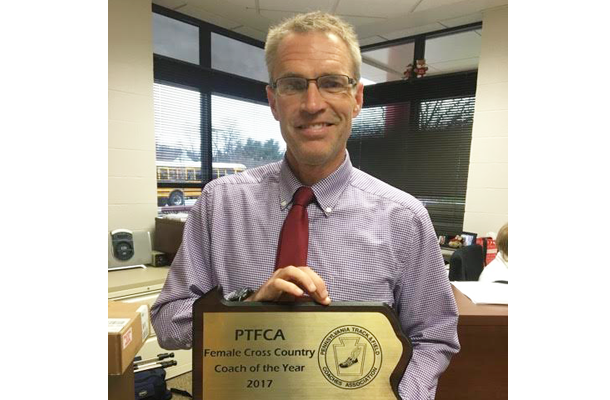 Most recently, Tom Moul received top honors as the Pennsylvania Track and Field Coaches Association Female Cross Country Coach of the Year. After six years leading both the girls’ and boys’ cross country teams, Coach Moul’s girls’ team not only fulfilled their own dream when they won the state championship, but also set a school record as the first girls’ cross country team to win the PIAA title. In another first, the girls’ and boys’ teams both won their respective section titles this season. Coach Moul, who is known for individualizing his runners’ workouts to meet their personal goals, also accompanied the girls’ team to the Nike Northeast Cross Country Regionals in New York, which served as one of several qualifier events across the country for the high school national championship. The team placed third, well above their pre-race prediction of seventh, just missing the cutoff to advance to the national championship. Coach Moul also coaches the high school’s indoor and outdoor track and field teams. Tom Loughran completed his third year with the Foxes, but has more than three decades of coaching experience. He was selected by the Pittsburgh Steelers as a coach of the week after the team’s upset victory over Woodland Hills High School. Coach Loughran’s peers also voted him the WPIAL 5A Allegheny Nine Conference Coach of the Year. His team shattered may school records this season and the program itself had its best showing in 15 years. The Foxes advanced to the WPIAL playoffs where, despite predictions of a big defeat, they nearly pulled off an upset in a game that went down to the last second before the final score was set in stone. Coach Loughran is known for his effectiveness as a steady leader who always does the right thing by keeping the good of his entire team in mind. 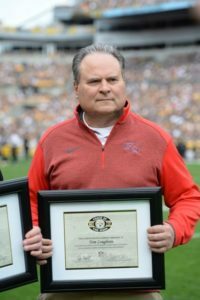 He and his hand-picked staff have inspired their players to believe in themselves, something that led to impressive statistics this season, including the defense holding one opponent to a single yard rushing in one game. Also, for the first time in 20 years, a rushing tandem ran for more than 1,000 yards each in one season. 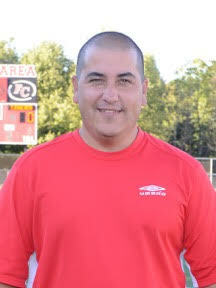 Lastly, Peter Torres was named the WPIAL AAAA Section 4 Coach of the Year for the third time in his four years with the team. During that time, each of Coach Torres’ squads have advanced to the WPIAL playoffs, and in 2016 they advanced to the PIAA playoffs for the first time in 20 years. Additionally, three of his teams have been section or co-section champions and a number of his players have gone on to have very successful careers in college soccer.